I have been on a quest to create a bread that is gluten free, grain free and high in protein and after a few trials and errors I made this loaf that taste delicious, doesn’t crumble and fall apart and keeps really well. Success!! I used super- fine almond flour, not almond meal and I think that contributed to the great texture and taste. You can get it at health food stores or buy it from Amazon HERE. This flour can be a great substitute to wheat flour in many recipes. Combine dry and wet ingredients, transfer to a bread loaf pan lined with parchment paper and bake at 350ºF/175ºC for about 40-45 minutes, until bread is golden on top. Slice and enjoy! 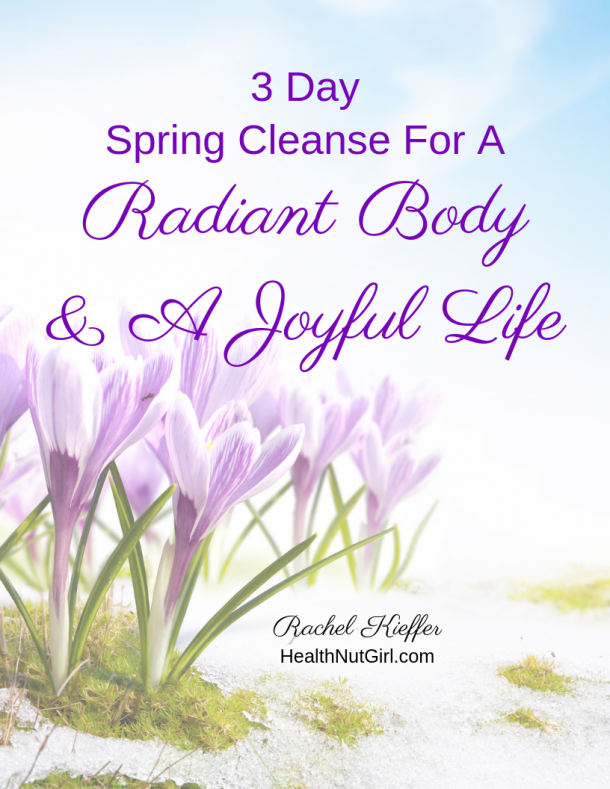 This recipe is an excellent way to treat your digestive system with love and kindness. 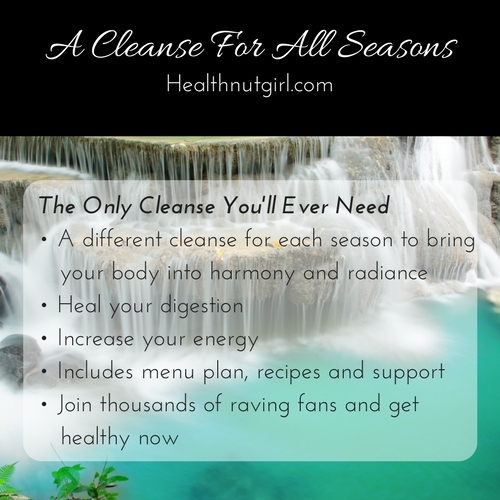 To help you transition into better digestive care, increase your energy and develop healthier eating habits please sign up to the Cleanse For All Seasons, with a different cleanse for each season, it will bring your body into harmony and balance. I gave up on trying to make bread-like goodies some time ago but this looks delicious.Thanks for continuing the trial and error! This recipe looks yummy-ground flax seeds are the one thing I don’t keep regularly stocked. However, I discovered that, if you add 1-2 TBSP of apple cider vinegar to bread recipes, and even some cakes, -your dough will rise, leaving the bread with a lighter texture. Great tip! I will try it with my next recipe. I’m so looking forward to trying this out. I love bread but it doesn’t agree with me. I’ll let you know how it comes out. 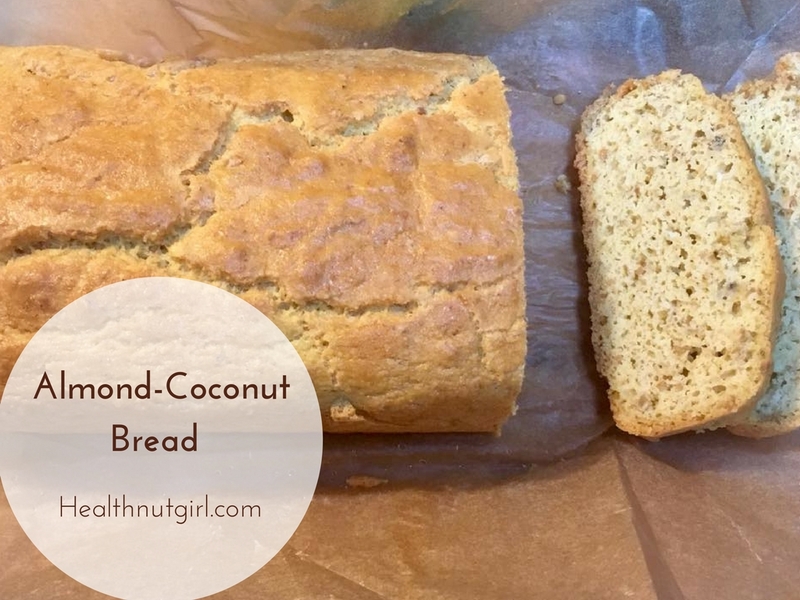 Sounds yummy, and I never thought of almond flour before. Do you think using a vegan egg replacement will work with it? I’d love your ideas on that. Thanks. I haven’t tried it but if you do, let me know. This sounds great! Unfortunately, my husband can’t eat nuts (migraine trigger), so I have to simply pass it on to others who can enjoy it. Please do. I also have a chickpea bread on my website that might work for him.